Most of you know that the Lenovo A859 is able to be rooted on Android 4.2 JB using Framaroot. Rooting may scare many users, but this tutorial for rooting the Lenovo A859 is quite easy. Just follow the steps and you will soon have root access to your Lenovo A859. >Warning: Rooting your device will void its warranty. Here’s a step-by-step tutorial on how to root Lenovo A859 and gain admin access. Download Framaroot 1.9.2. After you have successfully downloaded the APK to your Lenovo A859, install it just like any other app. You might need to enable “Unknown sources” (Settings> Security > Unknown sources) if the app won’t install. You will now see few options available (exploits) on the screen just click “Barahir“. Wait until the ROOT process finishes and come up a notice on the screen. If you get a message that says “Success … Superuser and su binary installed”. Then Reboot or restart the android. If Method 1 didn’t work with your Lenovo A859 smartphone, then this is probably the next best option if you want to root your device without accessing your PC. 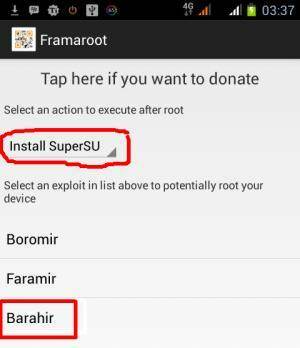 try this Root Master apk. 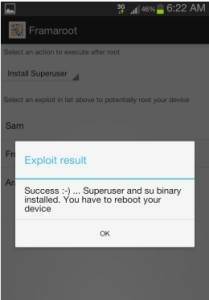 In order to verify whether the procedure worked well, you can check the presence of root access using the SuperSU application, or Root Checker.